Xero Dashboard helps to view all the reports you wish to see on a go. 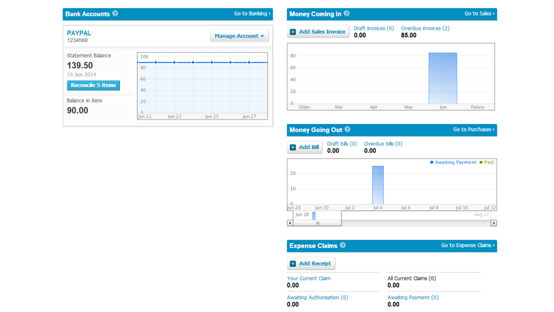 Here is what the Xero dashboard looks like. 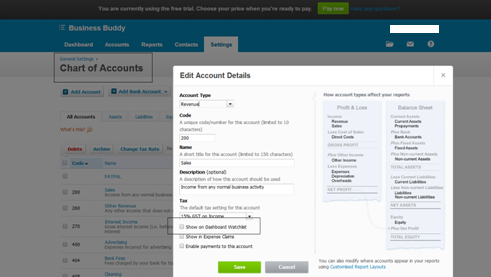 You can configure each account you wish to see from Settings> Chart of Accounts> Go to particular account>Click on Show on Dashboard. Your user role will determine if you have a full Dashboard, a cut-down version or a bank accounts-only version. Some menus or options on menus might not display if your user role restricts your access to these areas.